All parents must attend a pre-Baptismal class. Pre-registration is necessary prior to class and to pick a baptism date. Please call the Parish Office (630- 833-7730) to register for the class and Baptism. BAPTISMS are on the 2nd & 4th Sundays of the month @ 12:00pm. 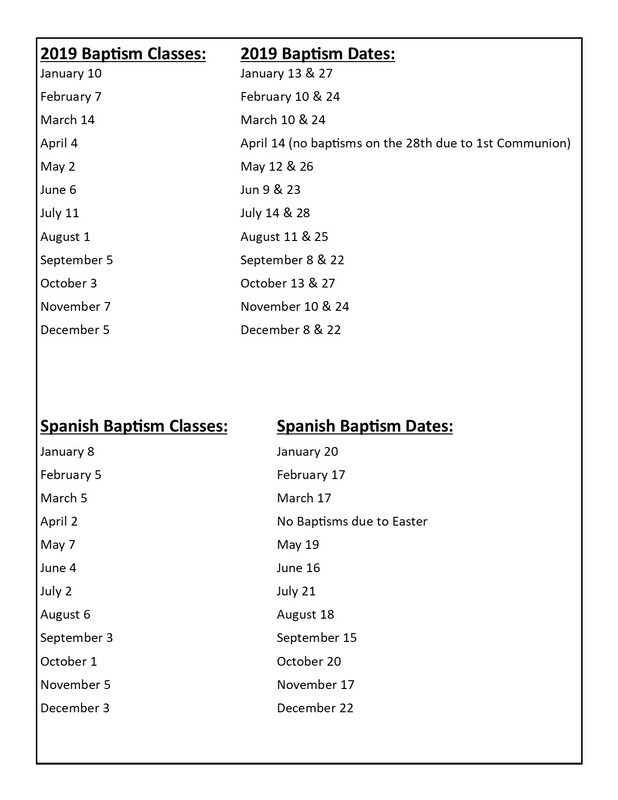 Spanish Baptisms are on the 3rd Sunday of the month @ 12.30pm. 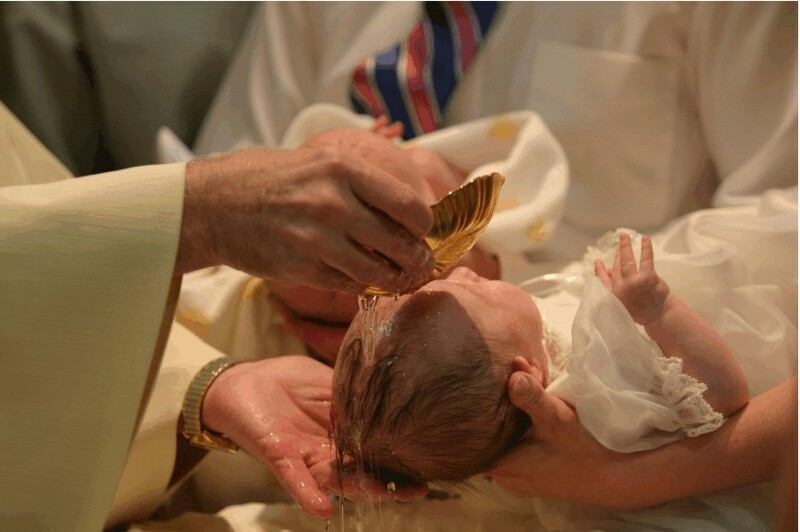 Speak with Deacon Julio at the 6pm Spanish Mass to schedule a Spanish Baptism.